That man is bipedal gives us an advantage over many other species on Earth and not just the ability to have two free extremities but the ability to look up. This night, he has made us look at the stars and imagine what’s out there. Moon, the largest natural object that can be seen in the sky, has always been one of the first mysteries of the human being. Since ancient times we have a curious question that has been repeated and answered only a few centuries ago: what color is the moon ?. No, friends, the Moon is not white or black (as we see at night) or blue (as we see for the day), the moon is brown. And as we know it really is that color?. 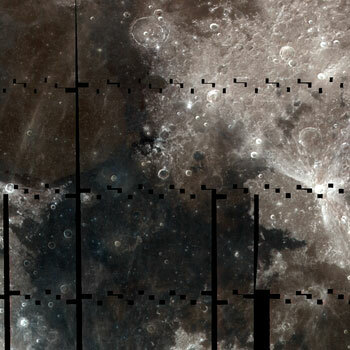 It’s simple, between the samples returned from the Moon and mapping the same with the different probes has been seen that the wavelengths that responds (not absorbed) are 320 blue nm, 415 Green nm and 689 red nm. Those are the wavelengths that together, is a brown. Remember that light is very capricious and our eyes, too. Although these are the lengths reflected by the moon, day, the atmosphere, the different layers absorb mainly green and red lengths letting the blue (remember why our atmosphere is blue, by nitrogen) while the night, our eyes make the game and because of the low existing light tend to see things in black and white (you can do the test at your house, you will see as you see in black and white or in the absence of colors, to be exact). The famous photo moments in which the moon are mirages color varies due to different weather conditions in the atmosphere at that time. The halos are due to ice in the upper layers, red colors due to bouncing of light at sunset or sunrise, are two of the most common examples. And why it is that color the moon?. Mainly by the composition. Iron and titanium coupled with high concentrations of iron oxide and titanium oxide are the culprits of those colors. Iron oxide, as you know from experience is red and brown while the titanium oxide is blue. 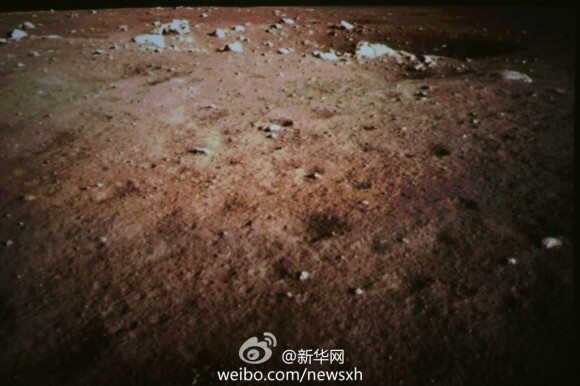 Color differences within the Moon itself are due to the concentrations of these materials. Cratered areas (seas, as they are called) titanium oxide predominates while currents areas abundant iron oxide. And if we go more in the details, those who always like, we see that not only the composition but also the material itself, the physical state of the material (if it is a basalt because of extinct volcanoes, if arenisco by erosion) influence how light bounces and how we see it. As we see, the moon is a color, only that our eyes deceive us.